A Jeanneau Merry Fisher 695 with a 150HP Volvo diesel engine with only 450 hrs (approx.) 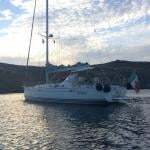 has been posted this morning on Afloat's Boats for Sale site. The 7–metre boat also comes equipped with a Garmin plotter, VHF, fishfinder, marine toilet etc. She is in nice condition. 'Cracker Jack' has had two 'caring owners' from new. 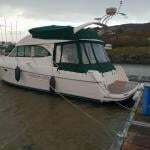 The boat's for sale through Crosshaven Boatyard here. See the rest of Crosshaven's Boats for sale on the afloat site here.